America’s only domestic manufacturer of PTZ cameras and peripherals, Vaddio is known for rapid innovation. We helped create the brand and transition it from regional unknown to national juggernaut. Supervox created the Vaddio brand identity, including its logo. 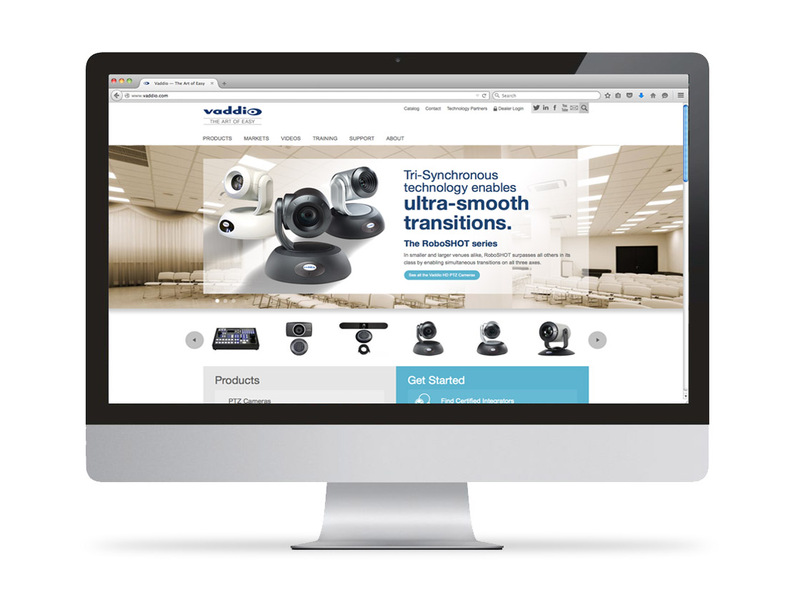 The Vaddio website showcases a vast range of constantly updated products. This landing page’s singular focus on conversion made it particularly effective in helping to launch an important new Vaddio product. Seen here on a mobile screen, our landing page for this new Vaddio product engaged users across platforms. 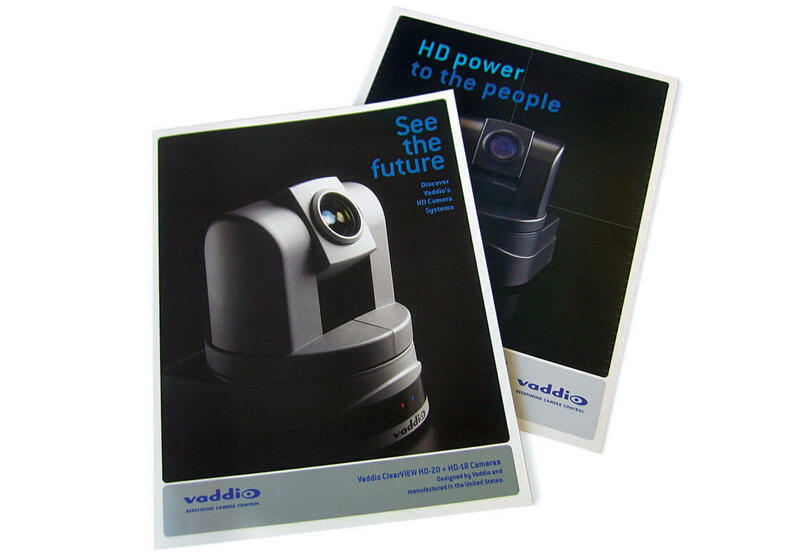 Product brochures for Vaddio’s pan-tilt-zoom robotic cameras. 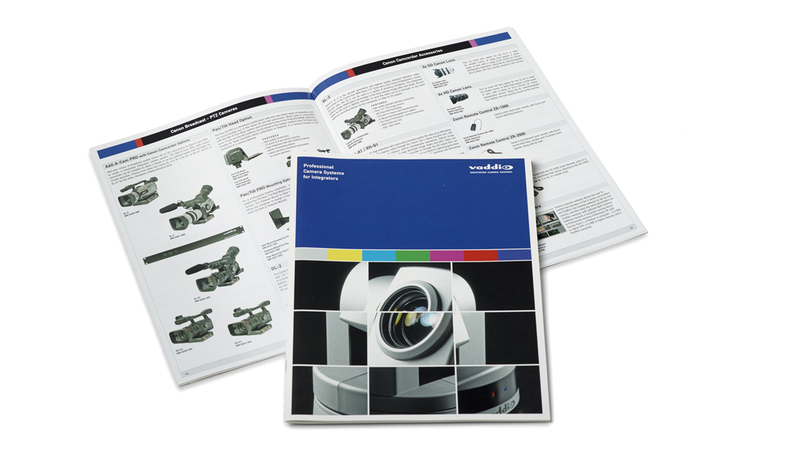 Each year, we created a print version of the Vaddio catalog. 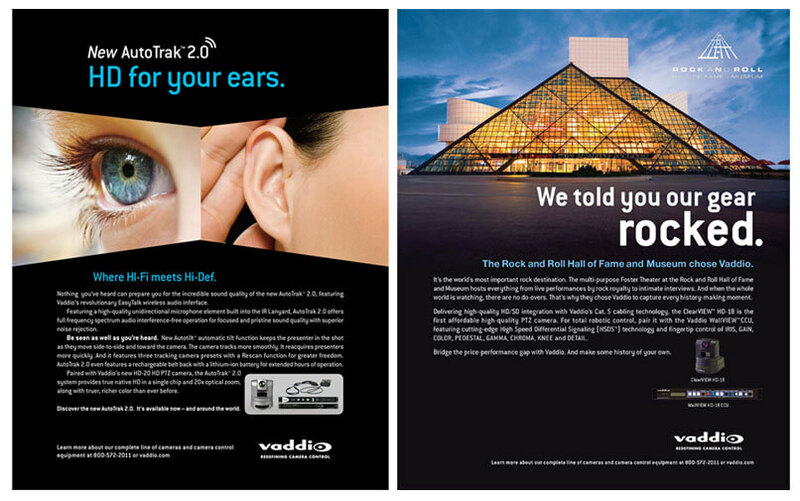 Print ads for Vaddio appeared primarily in industry magazines and tradeshow programs.